Taylor Pfeiffer has announced the release of her new EPTake Her. The first single from the EP Take Her is a self-penned song, recorded across NSW and USA in an alt-country style. The single featuring brass and banjo in a 1920’s theme filmed by Jason Mildwaters of JLM Studios in Adelaide, Australia, and featuring actor Taylor Allen. Filming took place in Riverton SA, mostly at the Riverton Railway Station, and I’m thrilled with the results and the reviews the video has received. I’d love for you to have a look – Taylor Pfeiffer. Several songs from this EP have been nominated for songwriting awards and are awaiting final judging. The EP was recorded at Hillbilly Hut Australia and 1-4-5 Studios USA. It was produced and mixed by Simon Johnson and mastered by Jeff McCormack. 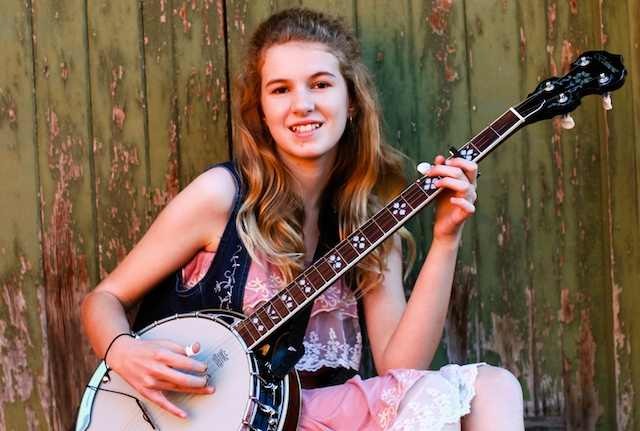 Inspired to play Banjo at the age of seven after hearing the 1960’s TV Series Skippy, sixteen-year-old Taylor Pfeiffer has been playing the five-string banjo now for nine years. At the age of ten she taught herself to yodel after listening to her favourite yodellers. Since that time Taylor has performed on stage with Australian Country Music Golden Guitar award winners Lee Kernaghan (2014 Tamworth, 2013 Tamworth & Urban CMF Qld), Troy Cassar-Daley (2016 Tamworth & 2012 Barossa Valley), Kasey Chambers, Adam Harvey, The Davidson Brothers, Pete Denahy and opened shows for Amber Lawrence & Bill Chambers. Hailing from Adelaide, South Australia Taylor has performed at major festivals such as Tamworth Country Music Festival, National Folk Festival, The Gympie Muster and The Urban Country Music Festival. Taylor has also appeared on several TV shows including ABC’s Spicks & Specks and Behind the News, The Today Show on Nine, Seven’s Sunrise and Weekend Sunrise, Channel 44’s Our Time. Taylor was also invited to perform for Nashville’s Music City Roots Show which was filmed in Tamworth 2013. Taylor was awarded the 2015 Australian Country Music People’s Choice Awards for Most Promising Future Star at a special presentation at Capitol Theatre, Tamworth NSW. In June 2016 Taylor released her first album Five Strings Attached. Recorded at Red Brick Recording Studio and produced by Anthony Stewart, Taylor not only plays banjo but also plays drums on the album. Five Strings Attached delivers a variety of classic banjo instrumentals, vocals, yodelling. Taylor has also included an original on the album called Not This Time Around. Taylor’s previous EP You Were The Stranger, featured 5 original tracks produced by Bill Chambers and co-produced by Taylor. She was a Top 5 Songwriter Finalist for songs; You Were There Stranger and Toughen Up Princess at the Tamworth Songwriters Awards. Her song Policeman Yodel won the Judges Award at the Canberra Country Music Songwriters Awards and won 3rd Place in the ACMF Songwriting Awards. Recently Taylor was awarded 2nd Place in the ASME Young Composers Award – Pop Section for her latest composition. You Were The Stranger, Taylor’s first single reached Number 21 on the official Country Music Top 40 Radio Charts and Toughen Up Princess reached Number 18. At just fifteen years of age, Taylor’s video Toughen Up Princess was announced the Winner of the Australian Independent Music Video Awards at a special presentation in Canberra and is regularly played on Foxtel, Country Music Channel. 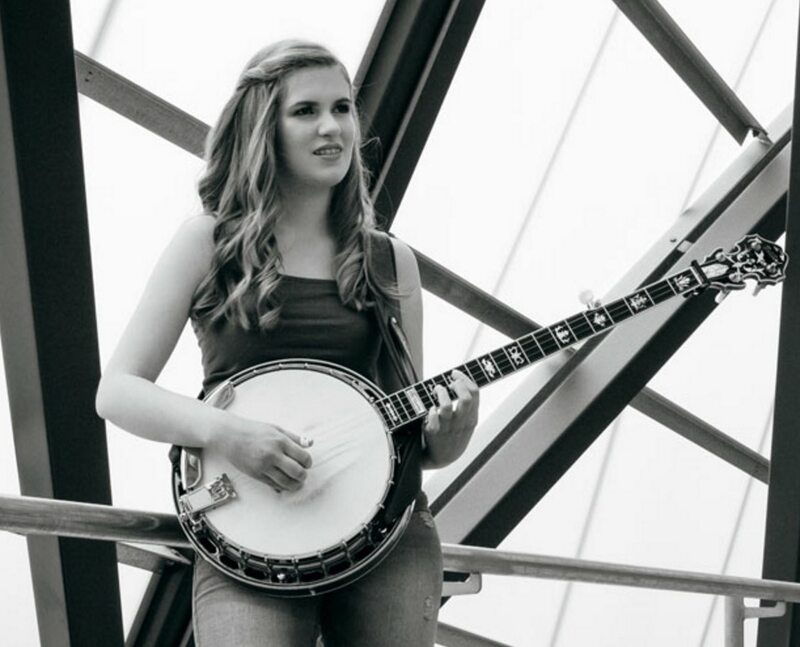 Banjo is Taylor’s first instrument, but she’s becoming well-known as a multi-instrumentalist. Taylor began playing Drums at the age of six, and has been awarded a five-year music scholarship at a prestigious school in Adelaide. Taylor also plays guitar. Taylor was awarded the 2013 South Australian Junior Champion of Champions and is a graduate from the 2011, 2012 and 2014 CMAA Academy of Country Music Junior Course in Tamworth. Taylor is proudly sponsored by Australian company Bellbird Banjos and USA Company D’Addario Strings. 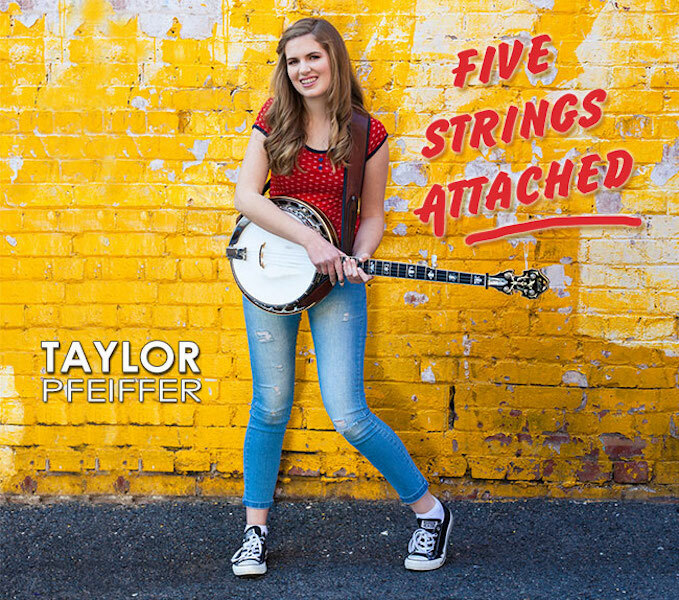 Wirrina Bluegrass asked Taylor Pfeiffer “The Banjo Girl” What inspired her to play the banjo? I began singing on stage when I was 5 years old. I would sing Australian folk and country music songs. When I was nearly 7 years old, I was watching “Skippy the Bush Kangaroo”; as soon as I heard the TV theme song for that very first time, I knew I had to play “that” instrument. My parents told me it was a Banjo. From that moment on, I had to play the Banjo. 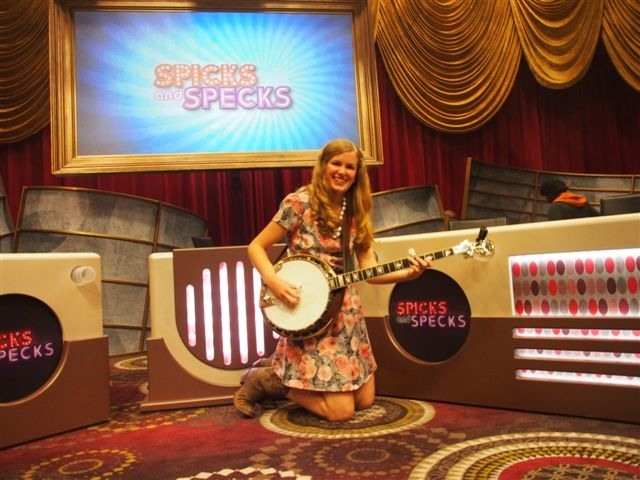 I talked about wanting to play a banjo for weeks, probably annoying my parents! Banjo has just a unique sound and I just fell in love with it and all I wanted to do was play one. For my 7th birthday, my parents gave me my first 5 String Banjo, the best present I have ever received! So, I now had a banjo and next was to find a teacher. We were lucky enough to find Peter Miller, who still teaches me today. My parents take me to lessons every fortnight in Adelaide, 130kms from where I live. I have been taking banjo lessons for nearly six years and love every minute of it. I love to play Scruggs style banjo. My favourite Bluegrass Music is Earl Scruggs, Steve Martin and The Davidson Brothers. I have been lucky enough to perform with The Davidson Brothers, Andrew Clermont, Kasey & Bill Chambers, Carter & Carter, Amber Lawrence, Jim Haynes Shows and more. I love to accompany myself on my new banjo, sing and yodel. I am sponsored by Bellbird Banjos. I play a Raintree model Bellbird Banjo which is Australian made and has the best banjo sound. 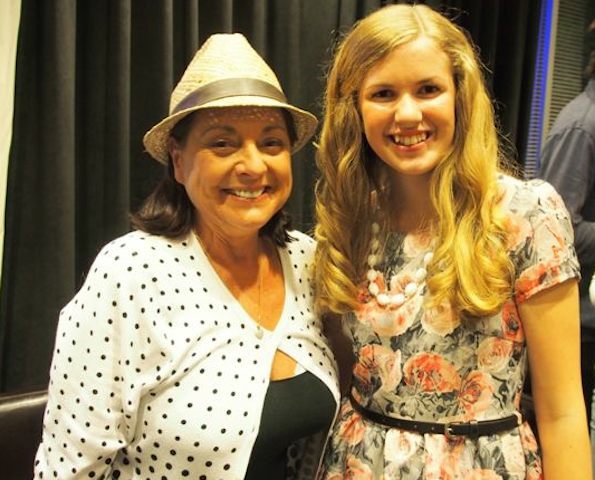 I’m a Graduate of the 2011 CMAA Academy of Country Music – Junior Course and I’ve been selected to attend the 2012 Academy course on the 29th of June. I’m keen to further my skills with banjo, Songwriting and working with other musicians. I wrote a song called “I Love My Style”, a song about my love for my banjo, country and bluegrass music. I received 3rd Place in the ACMF Songwriters competition and was a finalist in the Tamworth Songwriters and Music Oz competition, all with this song. I am very thankful to my Aussie furry friend Skippy and Eric Jupp for writing the beautiful banjo TV theme song. Skippy was my inspiration to play banjo, and start my love for bluegrass and country music. 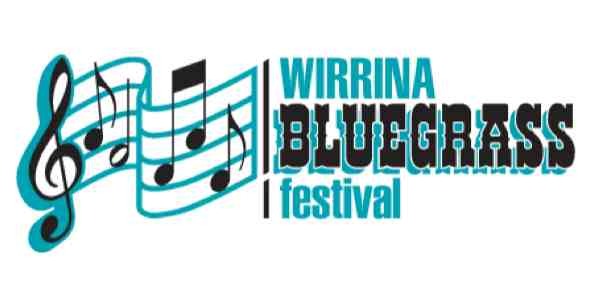 Come and see this wonderful young performer at the Wirrina Bluegrass Festival.